With its high-strength, military-grade aluminum alloy body, advanced technology, incredible durability and capability, the 2017 Ford F-150 has arrived. 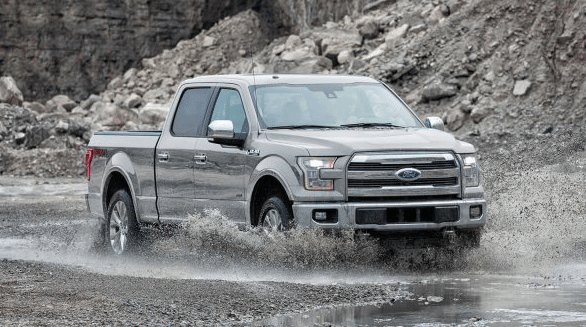 Having gone through Ford's torture testing, the F-150 has proven it offers best-in-class hauling capability, more responsive handling, quicker braking, fuel efficiency, and an improved power-to-weight ratio for faster acceleration and pulling power. The 2017 Ford F-150 is available in an array of trim levels, including XL, XLT, Lariat, King Ranch, Platinum, and Limited. This model year also marks the return of the Ford F-150 Raptor to the lineup. The F-150 offers three cab options: Regular Cab, SuperCab or SuperCrew, with seating ranging from 2-6 passengers. You can also choose between 3 box sizes: 5-1/2' Box, 6-1/2' Box, and 8' Box. Aesthetically pleasing contours, available angular chrome side steps, available chrome exhaust, and a unique grille to each trim level, give the 2017 Ford F-150 a bold road presence. The lighting design features halogen or quad-beam LED headlights, depending on the model, along with LED tail lights. Keep your gear organized with available features such as Ford's bed divide and BoxLink. Available LED box lighting ensures you'll never lose sight of your gear. Available features such as stowable bed extender and stowable loading ramp offer even more ease. Keep track of your load with available PowerScope power-telescoping/-folding trailer tow mirrors with power, heated glass, integrated turn signal indicators, high-intensity LED security approach lights, LED spotlights, driver's side auto-dimming feature and chrome mirror caps. Let the outdoors in with available single panel or twin panel moonroof. 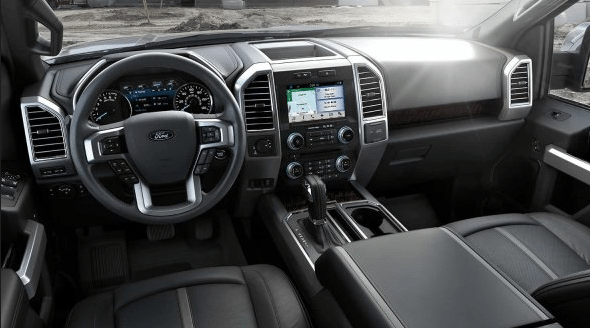 As you make your way into the 2017 Ford F-150, you will be delighted by intuitive and luxurious features such as an available heated, leather wrapped steering-wheel with audio controls. The available SYNC 3 with navigation and available Sony audio system that features SiriusXM, MP3 and ten speakers including subwoofer keeps you informed and entertained. Keep things organized and stowed with available in the door-trim panel bins, available under-seat storage, and the available flow-through centre console. To top it all off, the F-150 offers fully flat rear load floor with under seat storage in SuperCab and SuperCrew models. Ford offers a plethora of accessories, designed specifically for the 2017 Ford F-150. Parts and accessories range from styling to protective and convenience. 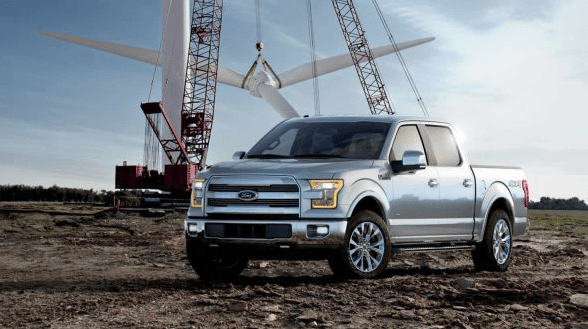 For the F-150's exterior, Ford offers exhaust tips, exterior trim kits, chrome side window deflectors, fog lights, fender flares, racks and carriers, step bars, splash guards, trailer towing accessories and more. For the inside of the cabin, F-150 owners can shop a variety of items such as floor liners, first aid and roadside assistance kits, interior light kits, cargo organizers and protectors, and more. For the bed of the Ford F-150, Ford offers accessories such as bed cargo divider, extender and mats, bed/cargo illumination, bed protectors and liners, stowable load ramps, and a plethora of other accessories. When it comes to being built Ford tough, the 2017 Ford F-150 does not disappoint. Put through rigorous torture testing and setting the bar across the industry for durability, the F-150 is ready to get the job done. Ford offers four incredible powertrains: the 2.7L EcoBoost with Auto Start-Stop Technology, 3.5L EcoBoost with Auto Start-Stop Technology, 3.5L Ti-VCT V6 and 5.0L Ti-VCT V8. The F-150 also offers available towing features, such as Pro Trailer Backup Assist. Durability, capability, power and technologically advanced, the 2017 Ford F-150 is ready to blow your mind. Make the Ford F-150 your own when you choose from an array of available features such as ample storage options and driver-assist technologies, as well as an incredible lineup of Ford parts and accessories. Without a doubt, the new 2017 Ford F-150 is the epitome of what Ford toughness is all about. Come on down to Canada’s longest serving Ford dealership, Watkin Motors Ford, and check out the 2017 Ford F-150. Your local Vernon and Okanagan Ford Dealer - Watkin Motors Ford offers the latest from Ford Canada, as well as a generous selection of pre-owned vehicles. Speak to one of the friendly and knowledgeable team members, and get behind the wheel of the Ford model you love from Watkin Motors Ford! Taking Care Of The Okanagan For Life.